These two poetry exercises are fun. The first will take about thirty minutes, and the second will take two days. My students enjoyed this very much. They had been working diligently on annotating poetry for a few days. 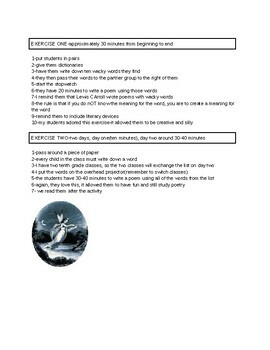 These exercises allowed them to be silly and creative while studying poetry. I used them for regular and honors classes.